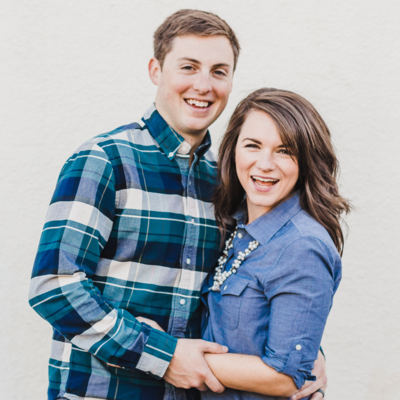 Today’s guest is wedding photographer and attorney Paige Griffith of Paige Marie Photography. Paige primarily serves the Missoula, Montana area, which—relative to cities that we’re near like Baltimore and Washington DC—is a pretty small market, and that’s exactly the reason that I wanted to chat with Paige. We often hear from people in smaller markets that some of the strategies out there just don’t work for their smaller, especially more rural areas. Well, I wanted to chat with Paige about how she was able to build a six-figure photography business in a smaller market. She outlines the challenges business owners face in those markets and then gives us steps that business owners can take to market their businesses in those areas. 03:02 How a creative outlet in law school led to a full-time business. 10:40 The three challenges of building a business in a small(er) market. 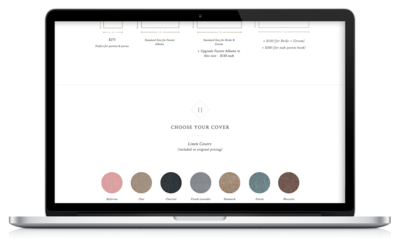 16:15 How Paige intentionally built her portfolio. 20:43 Advertising in a small market, and the importance of choosing the right publications and platforms. 24:03 How marketing with handouts is still effective for Paige, and the importance of building a personal brand. 31:11 The challenge of pricing services in a smaller market—and understanding what your ideal client is willing to pay. 43:05 The importance of going to your audience. 45:56 Getting published in local and regional publications. 48:22 How to get participation from other vendors in styled shoots. 50:55 The importance of investing in a website. 55:45 How Paige manages being both a full time attorney and full time wedding photographer. Paige Griffith graduated in May 2016 from the University of Montana School of Law with high honors, and also holds a double BA in Economics and Political Science from Pacific Lutheran University. During her time in law school, she was actively involved in the Women’s Law Caucus, Montana Law Review, and National Moot Court Team. She started a photography business during law school which became a six-figure business in just 3 years. 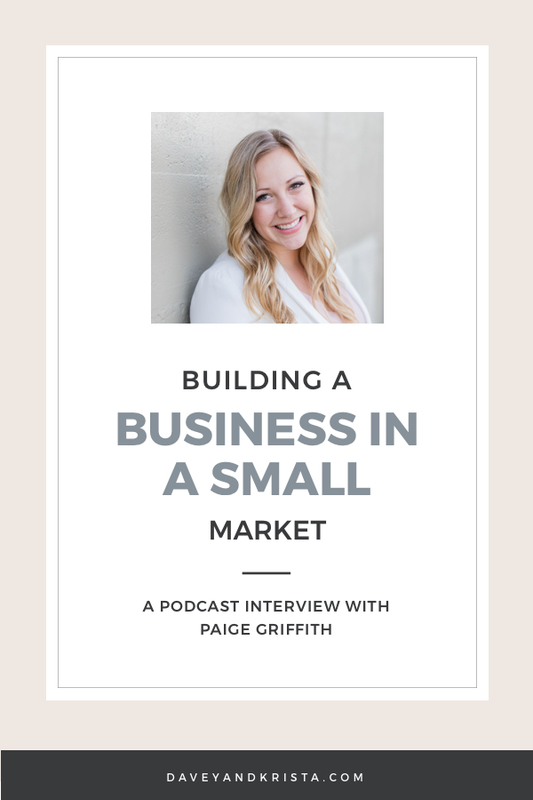 Paige combined her legal and entrepreneurial passions by helping other entrepreneurs and creatives create successful and legitimate businesses. Her goal is to create a space where all small businesses feel protected and confident. The Legal Paige was founded in 2018 and is an online legal consulting and business consulting firm. Please note – Errors may exist in the transcript. For clarification, please email us at support[at]daveyandkrista[dot]com. 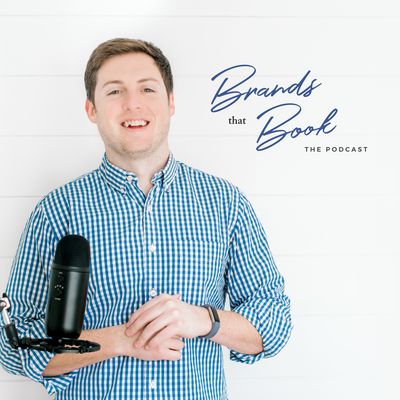 [0:00:20.4] DJ: Welcome to the Brands that Book Show, where we help creative service-based businesses build their brands and find more clients. I’m your host, Davey Jones. Today’s guest is wedding photographer and attorney Paige Griffith of Paige Marie Photography. Paige primarily serves the Missoula, Montana area, which relative to cities that were near like Baltimore and Washington DC is a pretty small market, and that’s exactly the reason that I wanted to chat with Paige. We often hear from people in smaller markets that some of the strategies out there just don’t work for their smaller, especially more rural areas. Well, I wanted to chat with Paige about how she was able to build a six-figure photography business in a smaller market. She outlines the challenges business owners face in those markets and then gives us steps that business owners can take to market their businesses in those areas. Be sure to check out the show notes at daveyandkrista.com for the resources that we mentioned during this episode, and I’d like to hear from you about what content you’d like to see on the Brands that Book podcast. I’d also like to know what episodes you’ve enjoyed so far and why. To leave your feedback, head on over to the Davey and Krista Facebook page and send us a message. [0:01:43.4] DJ: We are live. Welcome to the show, Paige. [0:01:45.4] PG: Thank you so much for having me. [0:01:47.3] DJ: When you reached out about this topic, so what we’re talking about today is building a business in a small market, or a smaller market. I thought that was just going to be such an interesting topic, because when we built our photography business, we’re right outside of Annapolis, Maryland. An hour north basically, you have Baltimore, an hour south, you have DC, then an hour east you have the beaches. I feel like we’re in a great area to build a photography business, just because there are so many different wedding destinations around us, there are two big cities around us. We often get met with some objections when we’re talking about marketing ideas, sometimes saying, “You know Davey, that’s great. But what you’re talking about, wouldn’t work for my market. It’s much smaller, or it’s much more rural, or I can never charge those prices.” I’m really interested in getting into some of those ideas with you. The other thing that I want to talk about is the fact that you’re both an attorney and a photographer. Neither is a side hustle, right? I mean, people could probably guess that becoming an attorney is definitely not a side hustle, but the photography business isn’t either. Could you just give us some background on how going to law school and become an attorney, like where does the photography business fit in there? [0:03:04.5] PG: Yeah, definitely. My background is non-conventional. I love sharing it with people, because I really feel people can relate, whether it’s a side hustle, or you’re working a full-time job and doing something that you’re passionate about. My background is I am a wedding and portrait photographer in Western Montana. I live in the beautiful city of Missoula, Montana with my fiancée and dog, Sugar. Like you said, I’m also an attorney, so I always add that in there. Not that it’s my second job, but I went to law school here in Montana at the University of Montana and I’ve actually been practicing for almost two years now. When you talk about how does it all fit in, it really is this different path that I ever saw myself going on and it just came all at the right time, and I was at the right place to accept photography into my life. I started shooting photography more than just a hobby right before law school. Ultimately Davey, I was just doing it to give myself a creative outlet during my bookworm reading and writing craziness in law school. From there, it grew from more of a personal hobby into a full-fledged business in probably about a year. [0:04:25.9] DJ: When you were getting started, it was really just a creative outlet? [0:04:29.1] PG: Yeah, definitely. I mean, I was in the midst of an insane educational experience with law school. Law school is really a full-time job as well. Many people have said that. I just knew I needed something to work another side of my brain, and I’d always liked photography. I was back in my hometown. I left for college and I came back here to go to law school. I just decided that it would be a good opportunity since I know people around town to really hone my creative juices and get them flowing a little bit more. [0:05:01.7] DJ: How did that start? I mean, what were you taking pictures of that somebody came along and said, “Hey, can you take pictures of me?” To clarify, you do mostly wedding photography, correct? [0:05:12.2] PG: Yes. Now my business is primarily wedding photography. I’m going to get into that later when we talk about how I built it in a relatively small market. I started out with portrait photography. Like I said, I’m from Missoula, and so it was nice because I just started shooting friends and family around town, and then word-of-mouth got around and I just kept shooting families and portraits primarily; couples and lots of families with small children. Everyone was right around that age range for where I’m at in life as well during law school. Yeah, it just grew and it didn’t – I obviously had a lot to do with the growth, but I didn’t anticipate it growing into the six-figure business during law school, while I’m trying to maintain my grades. Then I was really at this path in life, do I take a job that I’ve worked really hard for with my educational background and go into the lawyer world, or do I pursue photography full-time? At that point when I had graduated law school, I wasn’t ready to make that decision, which is why I decided to do both. I was at a good point in my life where I had graduated law school at 24-years-old and I didn’t have any kids. I was ready and eager to take on both. I loved law school, and I continued on with both. [0:06:38.3] DJ: Let’s talk about that real quick. I want to go back and I want to talk about Missoula as a market; what market you built your business in. Before that, you clerk for a federal judge, right? [0:06:50.0] PG: I do currently. Yeah. [0:06:50.6] DJ: This is the job that you worked really hard for. I got to imagine that it’s not an easy job to get, you know, not just everybody gets this job. Tell us about making that decision. [0:07:01.5] PG: Yeah. Again, it’s all about timing for me. I was trying to make the best decision for my life, looking towards the future and really not knowing what the future was going to be in three to five years. Like I said, I’d worked my fanny off during undergrad and during law school to maintain a really good GPA, to be involved in everything in law school. I was offered a position with a federal judge here in Missoula, which was a very, very desired position to stay in this beautiful city that I live in. That happened actually at the end of my second year of law school, and law school is for three years. By that point, I wasn’t making a lot of money with photography. I was still in the beginning stages of it. Like I said, I took that job thinking, “Oh, my gosh. I’ve worked so hard for this. This is exactly what I wanted. This is what every law student would want to do,” and I have loved my clerkship with my judge. It was the perfect – I’m a very, things happen for a reason type of person. For the past two years, it’s given me this beautiful grace and transition period to allow myself a couple years after law school to really figure out what I want to do in the legal world, without having to go to a firm and still being able to do photography in the evenings and weekends. It ended up being perfect. [0:08:32.9] DJ: Yeah, and I think that this is going to be such a valuable conversation for people who are in a full-time job right now thinking, “How am I going to ever build this photography business into a business that could support me solely?” Or maybe even validation for people who want to continue building their photography business, but love the job they’re working right now and have no intention of leaving. I’m excited to dig into this with you. Let’s do it. Tell us about the market, just the breakdown, so that we get a sense of the environment that you built your business in. [0:09:05.3] PG: Yes. I love talking about this, because Missoula is a definite – it’s very specific market that lots of photographers are in actually. It’s pretty small. It’s not a super small town, like 300 to 3,000 people, but it’s still a relatively smaller city. It’s 60,000 to about 70,000 people living in Missoula in the surrounding area, and we’re actually one of the biggest cities in Montana. We’re also talking about a state that’s very large, and we have about a million people in the state. I think we just broke a million most recently. We don’t have a ton of people in this entire state. I just happen to live in one of the more populated areas. However, Missoula, Montana is also home to Rocky Mountain School of Photography, which is one of the top photography schools in the nation. People from out of state come to Missoula, Montana all the time, to come to this neck of the woods and learn and hone their craft with photography. [0:10:11.1] DJ: That’s really interesting. You have a small state, small city, or small population-wise state, not a small state, but population-wise it certainly is. Then you have this photography school, and so there’s – I assume that for the population, it’s a pretty saturated market in terms of photographers. [0:10:28.3] PG: Yeah. I would say it’s oversaturated. When people really say that it’s a saturated market for photography no matter where they’re talking about, it’s crazy because I think Missoula is five-fold that. [0:10:40.3] DJ: What specifically in – so you’re in the small market. Specifically, what do you think the challenges are of building a photography business in a small market? [0:10:48.1] PG: I’m so glad you asked me this, because it really helped me take a step back about five to six years ago when I was first starting out and really think about, “Okay, where was I and how did I get to where I am today?” I wanted to lay this out for the listeners here today with three different challenges. The first one is they’re simply just isn’t enough people to go around. Like I said, there’s a ton of photographers in the area with very few clientele. I had to really assess what I could bring to the table that others couldn’t, and I didn’t let the excuses get to me. The excuses many photographers in small towns say that they’d have more work if there were more people where they lived, or they’re already well-known photographers in this area that have studios and not have a name for themselves, so how do I fit in? Or people say, everyone has money to spend on photography in cities, but no one has that disposable income in a small town. Really, instead of focusing on all of these excuses, and primarily there’s not enough people to go around, I really tried to turn those excuses on their head. I was like, “Where do I fit in?” I really, I assessed where I had been and what I could bring to photography that wasn’t just photography, and I think that’s where I found my catapult. I have a wedding and event planning background. I did wedding planning when I was in high school and then when I went to college over in the Seattle area, I did a corporate event planning. 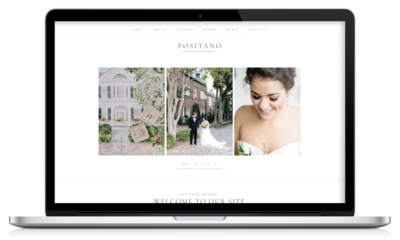 I leveraged that over and over and over again to be able to book weddings, and I told my couples that I could do custom wedding timelines for them to just give myself an edge over other photographers in the area. That’s pretty much challenge number one, don’t let excuses get to you, and the challenge of there’s just simply not enough people to go around. [0:12:47.0] DJ: Yeah. Certainly true about a small market, but people make those excuses about bigger markets too. Because in the area that you’re starting, there’s probably a photographer who came before you, or photographers, or businesses, whatever industry it is that you’re in and people who’ve already made a name for themselves, and it can seem, especially when you’re a small business, overwhelming where to start. You can always fall back on those excuses. I think that’s great advice for really, just anybody in any market. Number two. What’s challenge number two? [0:13:17.1] PG: Pricing. Challenge number two is really figuring out the supply and demand of a relatively small town. A little more background about me, I’m an economics major, which means I really loved the fact that I could navigate supply and demand and figure out where I fit in. With fewer clients ultimately in a small town, they’re going to think that they have the power, that’s just a mentality that they’re going to have, so that they can get the biggest bang for their buck, especially in Missoula because they know it’s a saturated market. It’s weird. They just know that it is in Missoula, I think especially because Rocky Mountain School of Photography is so well-known as a school. The layperson knows that there’s a ton of photographers rolling around and that we’re itching to book them. I knew from the beginning that I didn’t want to charge $50 for a session and make a couple bucks an hour after everything is said and done. My biggest advice here with pricing challenges in a small town is don’t lower your price at the beginning, especially because of the small town vibe and word-of-mouth. I did a bunch of free sessions at the beginning, just free; didn’t charge at all. I did about five to 10 really nice styled portrait sessions with specific families that I knew we’re going to do, had lots of other friends and families in the area that appealed to my brand and style and that they would be able to give good word of mouth. I wanted to look high-end at the beginning, but also not charge, and that allowed me to set a base price that was higher than others just starting out. It allowed me to not underpriced myself at the beginning. With a small town like I said, word-of-mouth, everyone’s talking to one another. I didn’t want to charge one family one price, and then two months later decide to increase my prices and there would be some controversy there, because everyone’s just expecting that I’m a certain price. If you do it low to begin with in a small town, I think it actually really hurts you in the long run. [0:15:27.7] DJ: Sure. I think that’s true, even – I mean, we especially when we first got started, would have friends of clients, because they were guests at the wedding and they’d come back and say, “Well, oh I don’t remember so-and-so saying you’re that expensive,” because we had raised our prices since. I can definitely see that being a challenge. How did you prevent – and I think that’s great that you are very specific about the people you chose who are you going to do free sessions with, people who are going to share, people who are going to talk to their friends and family about it. Two follow-up questions; the first one, how did you go about choosing the families and couples that you wanted to shoot to build your portfolio? Then two, did you work out something with them in the beginning so that they wouldn’t share that they got the session for free? [0:16:15.0] PG: Okay. Two great questions. Number one, I chose the people based upon what I ultimately wanted my photography style and brand to look like in a year or two. If you do that from the get-go, that’s really going to help you in a small town. I’m going to talk about my niche in the Missoula, Montana market that I think has really helped my business. Also, I grew up here, and so I know lots of people and I knew who had connections in town and who would be able to give a better word of mouth than others. I was able to do – I also specifically chose different sets of families. A couple and then a couple with kids at a certain age, and then maybe a couple with kids at an older age and so on and so forth. I was making a vast versatile portfolio at the beginning. Now, I didn’t tell – that’s a great question, Davey. I never told them to tell everyone that I was doing this for free. I think in a small town, because you can really get to know your couples on a very different level and people know who you are, they know your background, everyone was at the beginning very grateful that I had given them a free session. I just made it very clear at the end of their sessions that I was going to post and I would really appreciate re-posting and telling everyone about my photography, and that I’m getting started – I’m just starting out, and so any word-of-mouth they could give me would be great, and I would be happy to give them a referral discount in the future. Then that way they know, “Oh, this usually $500, or $750, or however much money it costs,” and then going forward, so if they do talk to friends they can say, “Oh, it costs whatever.” I love that. Moving on to challenge number three. [0:19:01.1] PG: Yeah, number three was I was trying to tap into the senior photography market in Missoula, Montana. Again, I’m going to talk here about relatively small towns. We only have three public high schools in the area, about one private high school. There’s not a lot of seniors to go around for photographers, and there was so many senior photographers in Missoula, Montana that I’ve had a name for themselves. It does relate to number one. Senior photography was probably my biggest challenge. I truly felt this was the hardest market to tap into. Some of these photographers had been shooting for one to two decades, three decades, so everyone knew about them. Their parents had their senior photos from them. It’s a small town, so people just expect that you go to them. They are also now one of my mentors and biggest friends in the area, which is awesome; total community over competition. I just realized that I had to find where I fit in with my niche and the brand that I could create under Paige Marie Photography. That challenge at the beginning Davey, really took me probably five years. I finally found my niche with senior photography. That’s challenge number three. [0:20:23.6] DJ: What would you say – I mean, really the differences between building a business in a small market and a bigger market? Is it true that the conventional wisdom that’s given about marketing, or building a business in a bigger market just doesn’t apply to a small market, or do you find that there’s a little bit more overlap that then people think? [0:20:43.8] PG: I think there’s definitely more overlap than people think. However, it really depends on what your small town does for advertising. I think you have to do research at the beginning. That was the biggest difference for me is utilizing old-school advertising to attract clients. I definitely did my research at the beginning when I was getting into the weeds of the business side of things, and it came to my attention that photographers in larger cities really liked the not, and paying for advertising online. With my market, clients weren’t looking there. They’re in Montana. We call it the Montana bubble, like they’re not looking at those bigger online advertising publications. I started talking to – it’s all about like, where are people talking to their friends about who to get engagement photos done with, or who, where are they saying, “Oh, yeah. Well my daughter should get her senior photography from this person.” We talk about social media a lot, but back about five to six years ago when I started, I realized early on that they were on Facebook. If I would have gone to Instagram first, which would have been what I assumed would be the perfect platform for photography, that would have been a big mistake. Instagram wasn’t that big in Montana about five to six years ago. I always joke, because we’re about two to three years behind the rest of the United States sometimes. My mom’s and people, moms of seniors and people my age getting married we’re still scrolling through their Facebook feeds and not Instagram. [0:22:28.5] DJ: You really built that Facebook presence. [0:22:30.9] PG: Yup. I built my Facebook presence first, and then I realized that I could transition to Instagram once people started getting on that platform a lot more. It is conventional, but I would say to leverage your research at – leverage where your clients are at by researching at the beginning, because even in a smaller town, I can imagine that people are at the local basketball game talking about things, and how can you get in to that market and be a part of the community and do some old-school advertising? If say, radio advertisements are still where people are listening to getting their photography from. [0:23:14.4] DJ: Yeah, I know that totally makes sense. It would make sense to me, especially in maybe a smaller, more rural area that whatever the cutting-edge technology is, or where people – wouldn’t necessarily be there as quickly. I think that’s great advice. I also think in there too, some – there’s a reason that you still get direct mail advertisements in your mailbox, like physical coupons, things like that. Because for certain businesses, that stuff works and there’s a reason that it works; everybody has a mailbox, everybody every day goes and checks their mailbox and sorts through the mail. I think that’s great advice just to research your market, understand how people are getting their information and how people are sharing that information. What are some other differences? [0:24:00.6] PG: Well just to touch on that one more before I change. [0:24:40.9] DJ: I mean, that’s just so fascinating to hear. I mean, and it’s not – I wouldn’t say it’s surprising necessarily that it would work, like why it wouldn’t? I mean, when a kid goes to school, that’s probably one of the easiest ways for them to share information that they can then bring home. I mean, that totally makes sense too. What else? Any other differences between smaller markets, or bigger markets? [0:25:02.3] PG: Yeah. I would say that you as a person is way easier to be your brand than it is in a larger city. You have this really awesome opportunity to not be just a shoot and burn photographer, and you can make it a point to have your clients love you. I made it a point to be Paige and not Paige Marie Photography and make my clients feel loved and cared for and special, and then they would go and tell all of their friends and family, because word-of-mouth is your biggest advertisement in a small town. I think that they teach that in a larger market, but it’s much different, because people are scrolling through social media and looking through hundreds of photographers to choose from. Here in a small town, it’s a lot more word-of-mouth and referral-based. If you’re really branding yourself as a person, versus a service, I think that really, really helps, and is a difference between a small town and a large town. [0:26:02.8] DJ: Sure. Especially, I would assume in small town maybe they’re in some ways, there’s more points of contact, physical points of contact that is at a local basketball game, or something like that. Whereas, maybe in a bigger city, even though you think that there’s more people, there might be less points of contact, like physical conversations. That makes sense. Anything else? [0:26:22.2] PG: Yeah. I would say that in a small town, you have the ability to beat out the foreign competition a lot better than you do in a larger town. This ties well to the last one that I discussed, but keeping your community focused on patronage, so meeting with local businesses. I’m from here and so I really use that to my advantage. I grew up here riding bikes around the streets of Missoula, so I wasn’t a photographer coming in from out of state who ended up just loving the Montana landscape. Lots of photographers do that. They come in, they love it, they want to stay. I had an edge that others didn’t, as in I knew the family next door for the past 15 years. Being able to really talk about that and cultivate that through social media, through my website, again it made me real and Paige and different than other photographers. [0:27:21.9] DJ: Yeah, and I think too the takeaway from that is when you – even if you’re a part of it, even if you’re in a bigger market when you’re trying to build a business, sometimes it can be overwhelming thinking, “Okay, how do I go out and get all of the people?” One thing that I hear you talking about is you’re really hyper-focused on the clients that you do have, making them feel as special as possible, really tapping into the community. I think by having that focus, which is more narrow, right? Than trying to serve everyone, ends up making for a busier business. [0:27:54.6] PG: Definitely. I think that relates across the board for large cities and small towns, realizing that you can just serve a very small market and you’ll be very successful doing that, versus trying to spread yourself too thin and serve everyone. I would say in a small town too, I just wanted to touch on this, because I would say northern part of the United States really relates to this if you’re a photographer in those states. Your attitude greatly impacts the success of your business. Realizing that you have a peak season and keeping your head up about even the downsides of whatever your business, wherever your business may be, realizing that seasonal affects me, may take place. Like you said, you start season – seeing some seasonal trends. Now, our seasonal trends are probably not like your seasonal trends and that is something that I feel like I’ve heard, depending very geographically basis. Some geographic areas are just going to have more seasonal trends than others. One of our friends is a photographer up in Canada and she was telling us that yeah, their season is – it’s pretty short. It’s from May to October, and after that, there’s no photography, for all the reasons that that you just mentioned. Nobody wants to be doing anything. [0:30:44.2] PG: Oh, yeah. June, July and August are when you book weddings, and other than that, they’re a little more sporadic. [0:30:51.2] DJ: Yeah, yeah. I mean, and that’s good to know and I encourage everybody to be keeping track of their enquiries, so that they can make educated decisions about their business, understand where inquiries are coming from. I’ve ranted about that stuff in other episodes, so I’ll leave it at that. [0:31:09.0] DJ: Any other differences? [0:31:11.4] PG: The one I wanted to touch on again, it’s funny because it always relates back to where the challenge was at the beginning. I would say price again is one of the biggest ones between a small market and a bigger market. [0:31:26.0] DJ: I’d love to explore that a little bit for a second, because one thing, and I can’t remember where this conversation come up. It might have happened at United, which is a photography conference down in Arizona each year, but somebody was talking about trying to raise their prices and somebody else had said to that person, “Well why?” They hear about photographers in these big cities, or maybe even more wealthy cities like Santa Barbara. If you’re in Santa Barbara, you’re probably charging a little bit more, because it costs a ton to live there, or if you’re in the middle of New York City. How do you go about pricing yourself in a smaller market? [0:32:02.4] PG: Yeah. I love this topic too Davey, it’s so interesting. I love the show at conference, the United show conference, they’re awesome. Todd Watson and his team are amazing. It totally is two degrees of separation here on this question. One of the people that taught me the most about pricing differences is James and Jess Photography. They’re in Santa Barbara. They had told me, raise your prices. I really wanted to serve the middle-class population in western Montana. I knew that very on that that was my niche. I needed to figure out where the pricing was there. In all honesty Davey, I’ll never be able to charge 6 to $10,000 for a wedding. I could if I wanted to be in that upper echelon destination Montana wedding photographer, that people are coming in from out of state and paying that amount. That isn’t the clients I wanted to serve. I wanted to serve the clients who have been born and raised here, their families are here, they’re having the awesome barn Montana weddings and having a good old-time, till midnight dancing to a band. I knew that I needed to price accordingly, and that my middle market was right around 3 to 4,000 and that was okay with me to never get above that. In a small town, I think you also as a photographer starting out need to realize that it’s okay if you’re making a little bit less money than others, because you need to take into account how much others in your city are making. If you’re right in-line with them, then you’re doing great. You have a wonderful business and you’re supporting yourself and you’re helping others in the small town area as well. [0:34:28.9] DJ: Yeah, and I think what you’re saying – I mean, that’s okay. The clientele, if you understand your clientele and this is on average how much they make, or this is how much I can charge them in order to work for them, I mean, and that’s okay. The other thing too is you’ve built a six-figure photography business, that is more than enough to live on. I would say, it’s – and I don’t know really anything about Montana, to be honest, but I would assume that that makes you, you know, that you’re very upper-middle class just on that salary. I mean, not even counting, you’re also a lawyer, which I’m sure your clerkship pay something as well. [0:35:27.7] PG: Yeah. Or is it the price of living. I mean, again the reflection, that’s a very big difference depending on where you’re living. Realizing and doing some internal soul-searching on where you live and why you want to live there and how much people are making to live there is really important. [0:35:49.6] DJ: Yeah. Like you said, I mean, about James and Jess in Santa Barbara, and we’ve been talking about having them on the show as well. [0:35:57.1] PG: Well you should. They’re awesome. [0:35:58.3] DJ: Yeah, they’re great. In Santa Barbara, a very different market, right? I mean, it’s just a very – I mean, if you live in Santa Barbara, it’s expensive. [0:36:07.6] DJ: It would make sense that the prices for wedding photography would match. That’s super interesting. Moving on here, if you were starting over and it sounds like, one thing I think that’s interesting about your story and maybe it’s the attorney in you, but you just did a ton of research going into it. I mean, even though you – this wasn’t something that you expected. Photography wasn’t something that you necessarily thought maybe you were going to get into, but once you did, it seems like you did a ton of research at the outset. Maybe the right question isn’t to ask you if you were starting over, what you would do. If you were coaching somebody else in a similar position as you in a similar market, what are these steps that you would tell them to take in order to build their business in the smaller market? [0:36:56.0] PG: Yeah. This is probably my favorite question of all, because now I’m at this place in my business where I love coaching other photographers. I do workshops all the time on business building. Like you said, it comes from my lawyer background, my economics background. I live for analytics and for research and figuring out what works early on. We were talking about finding a niche, and this is my biggest advice if I were coaching someone. I live by the motto; find a niche, fill the niche, kill the niche. Instead of following others’ leads in the area and we were a saturated photography market, I looked around and realized that there wasn’t too many light and airy photographers with bright colors in their photos. I’m a pretty colorful person and flamboyant, like I’m always going to wear pink if you see me. I just never really saw myself as a dark and moody photographer, and there was so many in the area. I was like, “Well, if I was a client, how would I see the differences between that?” Early on, I started carving my niche in the market and worked hard to portray my style over and over and over again in social media. Everyone’s photos, I tried to be exactly the same at the beginning. It’s really interesting now looking back at my style. I would say that it’s still pretty similar. When people are trying to find their styles, I think that’s wonderful, but in a small town in particular if you’re trying to find that niche early on and be successful, I think you need to find your style and go with it. I focus on that and I was really able to again, not please everyone. The people that wanted a dark and moody photographer, they wouldn’t even look at me, which was totally fine, because it wasn’t the clients that I wanted to serve. The biggest thing is the niche; find it, hone it, kill it. [0:38:56.2] DJ: Okay. Awesome. What’s next? What’s step number two? [0:38:59.7] PG: Again, figure out early on where your market is all day long. Are they chatting with people at their houses? Are they at the beloved college football stadium here in Missoula, Montana? Are they on Facebook versus Instagram? Like I said, it’s easier to figure out where they are in a small town, versus a large town. Do your research early on, figure out where they’re at, and don’t forget this step, because it’s crucial to being a successful business owner. I think across the board for entrepreneurs, figure out where you can target your audience and stay there, and do that for a while until the market shifts. [0:39:43.2] DJ: You got to go to them. Hopefully, I’m not cutting off one of your next steps, but I think some people think that if you just do good enough work, and doing good works important for sure. There’s no substitute for that. You got to be good at – you got to become good at what you’re doing. You got to do good work. You got to serve people well for sure. Going and getting in front of clients and marketing to them is almost as important. If you want to actually pay your bills, that’s just as important. Just to throw that in there. Step one; finding a niche, filling the niche, killing the niche, did I say that right? All right? [0:40:21.1] PG: Find, fill, kill. Yes. [0:40:22.3] DJ: Find, fill, kill. Love that. All right. Moving on to number two, where’s your market. What’s step three? [0:40:27.1] PG: Step three, I think you transitioned into this well. Be an active member in your community and don’t feel bad talking about yourself. People have a really hard time doing that, and I think I just probably just blasted being an extrovert, outgoing person. I think that is difficult for some introverts, but instead of just being a photographer like I had said previously, I wanted to be known as Paige. You can talk face to face in small towns a lot, better than you can in large towns, or large cities. People will listen here. They want face-to-face time with you. They want you to pick up the phone call and call them versus texting. Gosh, I just love it so much. I love capturing timeless images for people. All of my clients in Missoula are the absolute best. Then you invite the conversation of moving forward. I’m like, “Are you on Instagram or Facebook? I’d love to add you. I’d love to do it,” instead of them trying to find me. Right away, you’re making that personal connection and people love that in a small town. They’re obsessed with that. That’s a big thing, like be a community member, be involved, show who you are to everyone and don’t downplay it. [0:42:20.0] DJ: Yeah. I think if you were – especially for you, one of the advantages and you play to this, which is you grew up there, right? If you’ve moved into a small town, there’s probably some extra work involved trying to get involved in that community, but it sounds like it’s just – and I think it’s important in any community that you’re living in. Certainly in a small town, if you’re building a business to figure out a way to get involved. Then also taking advantage of even what could be considered a small interaction with your doctor. It’s so true. I mean, like what is the question that most people are going to ask when they’re sitting down with you, or meeting with you for the first time? It’s what do you? Just taking advantage of that micro-moment, so to speak, step four? [0:43:05.0] PG: We had just previously talked about the person-to-person relationship. The next step would be to build those relationships with wedding vendors, and even photographers in your area with similar prices and similar styles. In a small town, you have this really unique opportunity to help other vendors in the area, so we all refer one another to all of our clients. Our clients are constantly asking us for referrals, because they don’t want to do the work and we know everyone and it’s a small town and people just assume that we know who the best and the best are in this area. When you cultivate those relationships, and I did these through styled shoots, which is my next step, but through styled shoots I was really able to reach out to specific vendors that I wanted to work with and build relationships with them. Instead of just, “Hey, can I borrow your stuff? 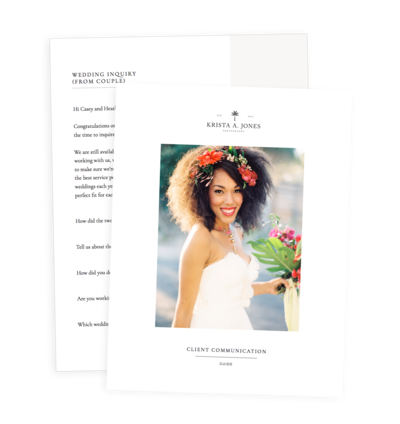 Or hey, do you want to participate in this shoot?” You do all of these extra additional, over-deliver, under-promise things to these vendors that make them feel special, and they will refer you time and time again, and also with photographers. Just really cultivating that community over competition feeling. I can’t shoot every wedding on a Saturday. I can only shoot one. Reaching out to them, becoming their friend, just asking them to go for coffee, or go out and grab a glass of wine at our favorite place downtown, and just getting to know them and where they started and building those relationships from the get-go helps them, and we just refer back and forth constantly. Now years later, they’re on my referral list and vice versa. [0:44:42.9] DJ: Yeah. I cannot emphasize enough. I’m so glad you brought that up, especially the photographer piece, because I think – I mean, of course, you want to go out and get to know other vendors who are in the same – that have a similar aesthetic, that would refer you, they’re in the same price range, but other photographers I can’t tell you how many referrals we got when we were first starting out from other photographers. Like you said, they can generally only shoot one wedding a weekend. Even if they have associates, that’s maybe two weddings a weekend, right? They need somebody to refer. We have a referral list as well, and we still have – we have pretty good search visibility and we don’t shoot nearly as many weddings. We’re only shooting up to 10 weddings a year. We send out – I mean, every day we’re sending inquiries out to other photographers that we’ve got to know and we trust that they’re going to do a good job. I think that’s a super important. Don’t only reach out to other vendors that complement your work, but reach out to other people who do the same thing as well, or that you do as well, especially if you’re a photographer. It might not be as true for somebody who maybe a florist can do 30 weddings in a weekend. Probably not that many. Anyways, so number five was style shoots, you said. [0:45:56.6] PG: Yes. Just getting published in a regional, or community magazine, versus a larger publication. I was never reaching for Style Me Pretty, or Green Wedding Shoes. I mean, I loved them and followed them and I’m still obsessed, but for me, I realized my brides and my clients we’re looking at Rocky Mountain Bride, which is a regional magazine. I was constantly trying to get on their blog posts, and I just consistently submitted styled shoots all the time to get on a regional magazine. That’s how I would say at the very beginning I got my name out there as much as possible for shooting weddings and being a little more high-end than I was with just being a portrait photographer at the beginning. [0:46:46.9] DJ: Again, I think this is just great advice because so many people they think, “Hey, if I’m not going to get published by Style Me Pretty, then I’m not going to submit at all.” First of all, there’s always – I would say, most of time, there’s somebody out there that will publish your stuff. We always encouraged people not to overlook the smaller, as you put it regional blogs for a number of reasons. One, because they’re serving your local clientele, like everybody in your area is probably at least familiar with that publication. We have a couple around us. We have one called What’s Up, and it’s a magazine that goes out to the Eastern Shore Indianapolis, I think they’ve expanded a little bit, but it’s a very local magazine, and everybody gets one in their mailbox every – I don’t know, every so often it just appears, right? Then on top of that, you’re still building good backlinks back to your site. You said, what was it? Rocky Mountain Bride? [0:47:41.6] DJ: Yeah, when Rocky Mountain Bride, when they link back – when from a blog post they link back to your site, Google knows that that’s a local business linking to another local business. Another great way to build links back to your site, and again, so if you’re out there and you’re thinking if I’m not getting published in Style Me Pretty, I’m not getting published at all. You’re missing out I think on a huge opportunity. One question about styled shoots; how did you convince or yeah, how do you basically – how do you convince the other vendors to participate? We hear sometimes people are like, “Well, I’m just getting started and styled shoots are a lot of work and other vendors know that.” How did you get participation from other people in the area? When I start out and it’s all the vendors at the beginning, I did not downplay that I was new. I told them that from the get-go. I told them what I was doing. I picked a very specific publication that I was going to reach out to; i.e. Rocky Mountain Bride, or Montana Bride, or whatever it may be. Instead of them coming to you, or being like, “Hey, do you just want to participate in something that’s elusive and you have no plan?” Give them a plan, lay it out to them and allow them to just be like, “Yeah, that sounds great. We can do ABC.” If you tell them what to do, they’re more likely to do it. That is where I think styled shoots get tricky at the beginning if you’ve never done them before. [0:49:52.0] DJ: Yeah. I think that’s great advice just again, because if you reach out to a vendor that’s done a styled shoot before, they already know how much work it’s going to do, or going to be, I’m sorry. If you show that you’re going to be – that you have a plan and you’re going to take on the bulk of that work, I would agree, they’re much more likely to say yes. The other piece of encouragement I would give is that people sometimes say no, and that’s okay. We’ve been told no before. Again, we just went out and found other vendors and we kept on asking people. Those things eventually happen for us. Just to review, because we got five so far. We got two more, right? We got finding a niche, filling the niche, killing the niche, I’m just going to say that every time because I like it. Yeah, I just like saying that. I’ve never heard that phrase before, so niche I have obviously, but find – yeah, the find, fill, kill thing. 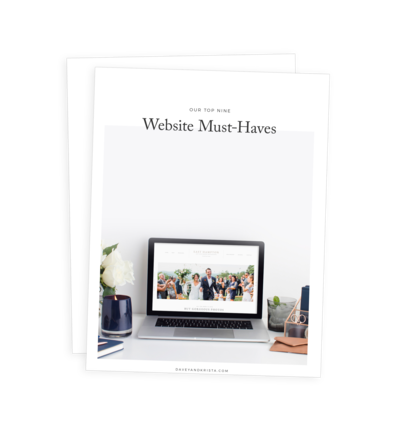 Find a niche, fill a niche, kill the niche, where’s your market, being an active member of community, building solid friendships with wedding vendors, including other photographers, styled shoots, getting published, what’s number six? I mean, that’s just really basic. Spend money at the beginning on your website and realize that websites are where people do business nowadays. That’s where the foregrounds of your brand start. Put your time and effort and extra disposable income from photography into that, versus a lens or a new camera. [0:52:00.8] DJ: As web designers, a strategist, we would agree. There’s definitely value in – so do you show it? [0:52:09.9] DJ: Yeah. There’s definitely value in having some – like a show-up website, where you can go and you can make your own updates and all of that. One thing that always, when people are trying to completely DIY their website, I ask them, “Okay, would you want your clients that completely DIY their wedding photos?” The answer is of course, no. There’s just so many things that you know as a professional that your clients don’t. That’s why I think it’s super valuable to go to web designers, to go to experienced web designers, brand designers, and even if you’re starting with a template, that’s okay, but you know that was a design by somebody who has user experience in mind. Again, but I shouldn’t – I won’t let that derail our conversation, because we got one more. What’s the last step for somebody starting out in a small market? [0:52:56.2] PG: Again, realizing that your time and energy is finite. You can’t serve everyone, even if you’re in a town of 300 people, you can’t serve 50% of that community. You need to figure out who’s willing to pay you, determining how you can appeal to that specific audience. Once I realize that in Missoula, that I couldn’t serve everyone and that I – it’s totally fine that there’s all these other photographers out there welcome to the business world, where there’s tons of restaurants to choose from, really honing your mindset in on your targeting your ideal clients. Figuring out who they are, that goes across the board I think for large cities and small towns. In a small town in particular, I think you think that you can get the majority of that town to be their one and only photographer and that’s just not the case. It’s still true in a small town that you have a specific niche and you cannot serve everyone. I Davey, had a challenge with that at the beginning. At the beginning, I was serving way too many people, and I was overextending myself. It was really challenging. My energy was wearing very thin. Just being aware of that at the beginning is so, so crucial for photographers. [0:54:21.2] DJ: I think what’s so interesting about this list, these steps, or that you could take this and apply it to a bigger market as well. I think that you would kill it in a bigger market, applying these steps. What I mean is, sometimes I think with the limitations of a smaller market, you’re forced to be a better business person, right? In a bigger market, if you’re in the middle of DC, maybe you can get away with not really honing your niche, because maybe at the end of the day there are enough people to fill your calendar. When you’re in a smaller market like yourself, you really have to figure out these things, so that you can survive. I think again, just listening this list that you’ve put together, if you were to apply this to a bigger market, so if you’re out there and you are in a DC, or in New York City, or in another big city and you applied all this that you would absolutely just – you’d mop the floor. This has been a really, really interesting conversation. I do want to end with a non-small market related question. Really, it’s how you maintained and built this photography business, while at the same time going through law school and then getting this clerkship. Again, I got to imagine that this isn’t like a couple hours here and there type job. How do you manage both those things while maintaining your sanity? [0:55:45.7] PG: This is what everyone asks me. It’s so funny, because six years later, I do have a prominent presence, and so people are asking me all the time like, “Gosh Paige, how do you do it all? Do you ever sleep?” I mean, let’s be real. The hustle is real. Some nights, I don’t sleep. I’m a very, very good person at time efficiency. I am a planner. I plan my weeks out and months out far, far in advance. Unfortunately, that was hard for some of my family and friends to get on board with when I started working two full-time jobs basically. It took them a little while, but then they realized that that’s the key to my success. Also implementing a lot of Paige time, instead of working 24/7. I remember my first day of law school, a professor said to all of us when I was starting out to not lose ourselves in school, or afterward in practice. I took that to heart early on and continue to do so to this day. I bring my whole heart into everything I do. I’m a multi-passionate person and I have fully accepted that. When you’re multi-passionate, you have to – I’m obsessed with everything I do and I love working a lot with things that fulfill me. I also know, you have to still conserve your energy. I still want to watch a Netflix marathon every now and then and read a book for pleasure. Yeah. I mean, I do do it all right now, but I have an end in sight, which is great. [0:57:15.2] DJ: Also important. I think you going into this clerkship, right? It was for a set amount of time. It was for two years. You could say to yourself, this two years could be a hustle between the clerkship, building this photography business, but there is an end. Not that you’re going to just be – not that you’re just going to have a ton of time after it ends, but there is an end in sight. [0:57:38.8] PG: Yeah, definitely. I think I can identify with lots of people that maybe have a side hustle, or have to make ends meet by working on Monday through Friday 8 to 5 job. I mean, I’m there. I’ve been there and I get that, and everyone has bills. Continuing to do what you’re passionate about while you’re working a Monday through Friday job is so important. I think that really helps you create a successful business in the end. I come home and work on something that I absolutely love and it doesn’t feel like work. Work feels like work, but photography is still fun, even though I’m running a business. [0:58:17.0] DJ: As this end in sight nears, you have a beginning in sight as well. What is it that is to come when this clerkship ends? You’re still, you’re not giving up the being an attorney. [0:58:30.4] PG: Right. The law is so something that I absolutely love. Like I said, this is a good wrap-up of the podcast, because I am continuing on with my legal venture in life, but I’m doing it on my own and I have decided to open my own virtual law office to help other photographers start their businesses up and be legal and feel protected. I am so excited about that, because after these two years of a transition period, I was able to hone all of my passions into one. I’m starting up a virtual law office. It’s called The Legal Paige, which is pretty simple; people can go find it. I will also be doing photography as well, so my ultimate goal Davey is in the next year, I’ll transition from two full-time jobs to two part-time jobs, which make one full-time job. [0:59:39.0] DJ: Okay, yup. Besides going there, where else can people find you? [0:59:42.2] PG: People can find me on thelegalpaige.com like you said. I’m The Legal Paige on Instagram. Paige Marie Photo on Instagram and you can find me on Facebook as well, under both those names. [0:59:53.0] DJ: Awesome. Well, thank you so much for sharing your time and your expertise with us in the middle – this in the middle of the workday, so this is a lunch break for you, so I really appreciate you fitting us in, and at some point, we’ll have to have you come back on and talk about making sure your business is protected and legit, so that you can sleep well at night. Thank you. [1:00:13.5] PG: Thank you so much for having. [1:00:17.9] DJ: Thanks for tuning into the Brands that Book Show. If you enjoyed this episode, please consider subscribing and leaving a review in iTunes. For show notes and other resources, head on over to daveyandkrista.com.